I have been playing with my thoughts to start Croby Patterns YouTube channel since I can remember. I even asked you guys which tutorials do you prefer on my Facebook once. So many of you said that you would love to see a video tutorial that goes hand in hand with a written one. I am more of a visual learner too and I know how helpful video tutorials can be. 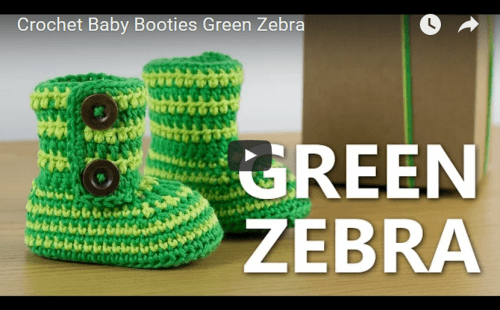 Since I’ve got so many requests to make a video for Green Zebra crochet baby booties from the day I posted a pattern back in November 2014, I’ve decided to open my YouTube channel with Zebra pattern. If you like the pattern and would like more of them to come, please subscribe to my channel, it will keep you updated when the new patterns will be up and I will make sure new, great content will follow. 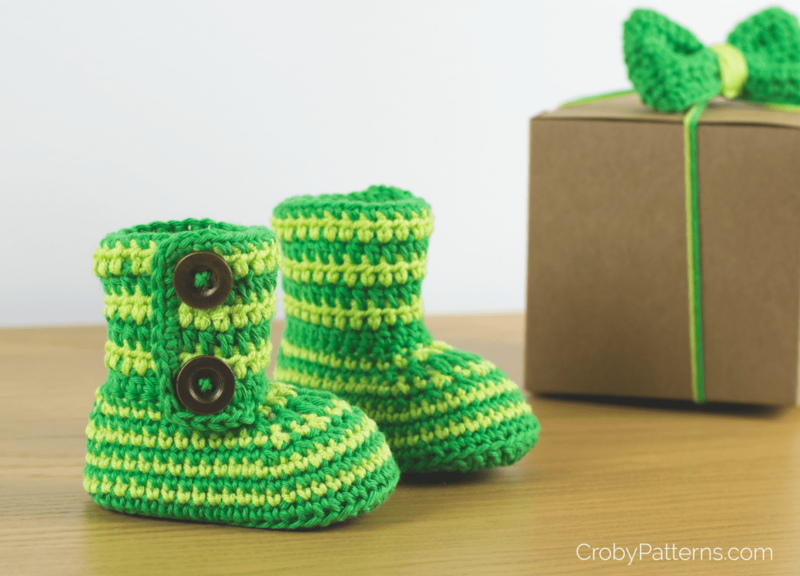 For all of you who like the written patterns more or combination of both, you can find the Green Zebra patterns as a pdf file HERE. Good work done. I really love your products, they are so beautiful. i want to know if we can do business together. I want to buy in bulk from you. My name is Doroteja and I am a designer behind Croby Patterns designs. Welcome to my blog. This is a little sneak peek into my personal crochet journey. Enjoy!